Ask any high school teacher you know: there are certain questions from parents that come up time and time again during parent-teacher interviews. The most common ones are usually marks related, but English teachers will tell you that parents also want to know how they can foster the joy of reading in teens who claim to “hate” books and wouldn’t read one if their lives depended on it. As sad as I am to say it, traditional high school English classrooms probably don’t inspire much reading for pleasure. I don’t know a whole lot of kids who care that Fitzgerald used synaesthesia as a tool in The Great Gatsby or that Shakespeare loved his dramatic irony. But even reluctant readers can find books to enjoy if provided with the right options. Don’t try to force a teen to read (or do anything for that matter). Your teen is not going to read a book just because you liked it or it’s on a reading list for school. So don’t let your teen’s class syllabus be her only selection when it comes to reading material. Do provide your teen with books that focus on his personal interests. Thanks to the success of Harry Potter, The Hunger Games, Twilight, and other book series in recent years, publishers have inundated the public with Young Adult Literature. I am certain that there is a book out there that discusses at least one thing your teen likes. Is your teen into airplanes, war stories, codes, and spies? Consider Elizabeth Wein’s Code Name Verity. What about tales of Armageddon, mass destruction, survival, and aliens? Pick up a copy of Rick Yancey’s The Fifth Wave. Paranormal activities, mysteries, and old haunted barns? Then Gail Gallant’s Apparition is a must. Do consider your teen’s favourite course in school when making book selections. Does she excel in Physics? Kari Luna’s The Theory of Everything discusses string theory and alternate universes. Is your teen consumed with Tech and Computer classes? Alex London’s bookProxy is filled with awesome, not-so-futuristic technological inventions. What about Religion or Equity Studies? 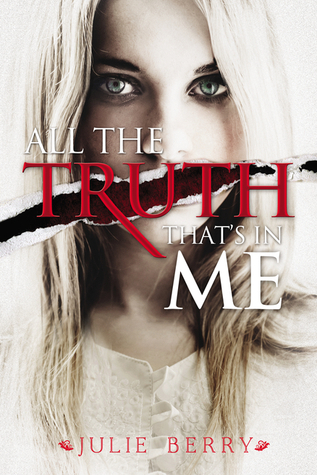 All the Truth That’s in Me by Julie Berry is an excellent story about the oppression of small-village life. Do consider the didactic and therapeutic qualities a book can have on a teen struggling with hardships. There are numerous well-written books out there that focus on tough topics, including Matthew Quick’s Forgive Me, Leonard Peacock (abuse, bullying, and suicide), Elise Moser’s Lily and Taylor (physical and sexual abuse), and Suzanne Sutherland’s When We Were Good (death and LGBTQ), among others. Don’t disregard the impact that film adaptations can have. Why not buy your teen copies of Markus Zusak’s The Book Thief or Veronica Roth’s Divergent and stick movie passes in them? Or get John Green’s The Fault in Our Stars and include the YouTube site for the movie trailer? Falling in love with the story on the big screen just may inspire your teen to relive the glory of it in book form. Don’t focus too much on stereotypical topics. Sometimes a teen’s reluctance stems from being introduced to a publisher’s idea of single-gender readership. Always focus on your own teen’s specific interests when making your selection. Do try to frequent smaller, privately owned bookstores. The employees are far more likely to have read the selection of books and can give you honest feedback about the quality of writing and the maturity of subject matter. They will spend the time talking to your teen about his or her interests, and can offer appropriate selections. And finally, do keep your eyes open for new releases. Publishers and Web sites devoted to book reviews will keep you informed of the newest and hottest YA literature available. Once you’ve identified what your teen likes, you can keep prepared with the next great read. For my recommendations, identified by topics of interest and curriculum connections, please visit www.greatreads4teens.com. Honoured to be included in this great reviewer’s Santa’s Reading List, YA Edition! A final peek in Santa’s sack reveals a bounty of amazing reads for young adults (and those not-so-young actual adults that simply love to indulge in one of the hottest genres around). These aren’t your pastel-coated, blonde twin-starring books my friends. Today’s YA is responsible for spurring on some of the world’s largest movie franchises, creating hotly contested love triangles, and special preorder editions and launch parties with each book. Whether you’ve picked up a Twilight or Hunger Games in the past or you’re completely uninitiated, rest assured, there’s plenty of diversity to hook you. Note that for the purposes of this post, all prices are suggested list prices.